Learner Experience Design (LXD) is something that we have discussed a lot at ELTjam over the last few years, mostly with a focus on digital products. More recently, however, we have been applying these principles to a wider range of teaching contexts, both on and offline. So what is LXD, and why is it important for the ELT classroom? LXD is a framework and systematic approach for identifying problems and coming up with solutions that bring about effective, efficient learning. Our focus on LXD originated with the reviews that we did for the ELTjam blog of digital ELT products being released into the market. We saw that very often learners were being poorly served by the digital tools that were being made available to them. Maybe they were clunky and hard to use. Maybe the content was awful. Or sometimes both. In most of the things we saw in the market, we could identify an area where the learner was being let down. LXD is a framework and systematic approach for overcoming these shortfalls and creating products and services that have fewer strengths and more weaknesses, of creating experiences that are effective as well as enjoyable – delightful even! So what classroom problems have we seen and identified from discussions with teachers and learners? Needs analysis is often ineffective, not listened to, or has little impact. Furthermore, the systems and the structures in place don’t always allow teachers to act on needs analysis. Some course books deliver substandard learning experiences because they make sweeping assumptions about what learners like, need, find motivating, etc., and are in no way connected to what is happening in the real world. Motivation, engagement and delight are too often afterthoughts of the teaching and learning process when they should be critical differentiators. Learners have access to increasingly sophisticated apps and services that are able to provide language learning not far removed from what they (used to) get in the classroom. As such, the value of human interaction is in ability to respond and to put the learners at the centre of the classroom experience. Understanding your learners and your class more deeply. With a sense of curiosity, speak to your learners about what they really want, like and need. Facilitating and encouraging feedback from your learners. Ensure that learners are comfortable telling you what they think is going well and what needs to change. Optimising teacher experience. Only by making sure that you are happy and fulfilled as a teacher can you invest energy in improving your learners’ experience of English. 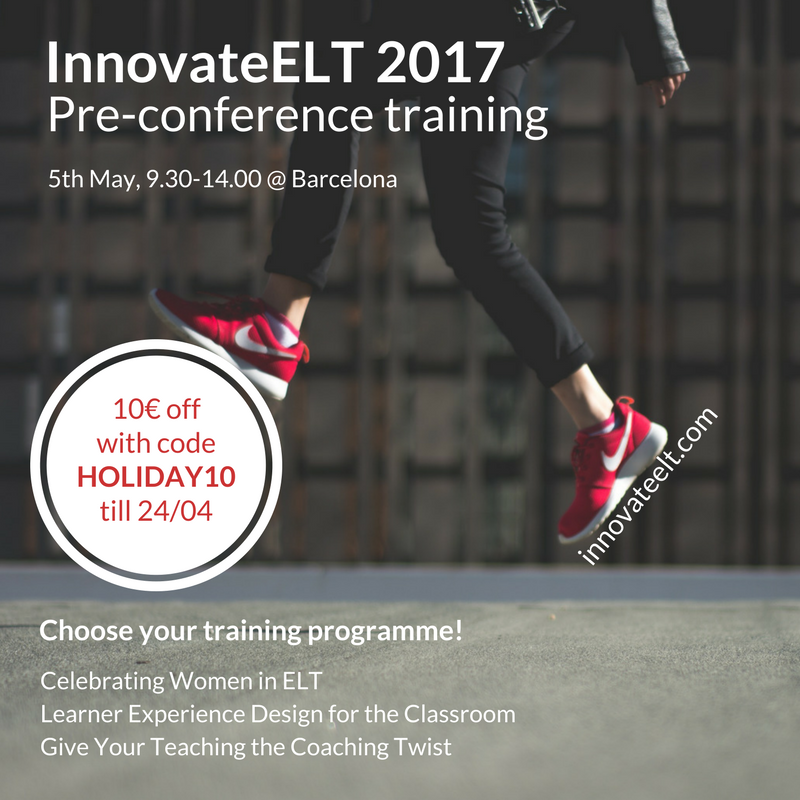 Join us for our Pre-Conference training session at InnovateELT on 5th May 2017, where we will explore these four areas in more detail and provide a set of practical tips and tools that will help you improve the experience of your learners. More info here. We’ve been working with educational organisations and product teams in ELT since 2013. We love helping our clients to create products that are both effective and a joy to use. We specialise in implementing new ways of working designed to get those products to market rapidly.